Ameno World Blogger UMNO Dedahkan Bank Yg Simpan Wang Pelaburan 1MDB Kerugian Teruk. Blogger UMNO Dedahkan Bank YG Simpan Wang Pelaburan 1MDB Kerugian Teruk. Blogger UMNO Dedahkan Bank YG Simpan Wang Pelaburan 1MDB Kerugian Teruk. WITH mountains of evidence that suggest a widespread governance oversight and attempts to mislead the public, the investigators of 1Malaysia Development Berhad stand condemned if they fail in their duties. The Auditor-General’s Department, the police, the Malaysian Anti-Corruption Commission and Public Account Committee of the Parliament are the people’s last hope. Just on the curious move by 1MDB to park its returning RM4-billion fund in Singapore alone should be more than enough to wet their appetite. Why should a sovereign wealth fund or, in the case of 1MDB, a strategic investment company keeps RM4 billion in Singapore and with a branch of Brazilian-owned Swiss private bank? Government-linked companies, corporations and agencies like Khazanah, PNB and EPF would normally place their funds in large local and international banks. Why BSI (Banca della Svizzera Italiana), a smallish private bank? 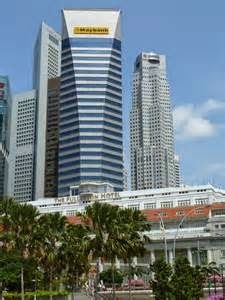 Keeping the money in Singapore is mysterious enough and keeping it with a private bank makes it suspicious. The money should have been brought home to pay its debts to Maybank and RHB Capital. Instead it “borrowed” from telecommunication and entertainment tycoon T. Ananda Krishnan while denying media reports that it did so. Mere speculation, its President and Group Executive Director Arul Kanda Kandasamy told the Mingguan Malaysia newspaper on Feb. 15. But even if there is a billion-ringgit reason to park the RM4 billion in Singapore, why not keep it in Maybank Singapore or with other well-known banks like Citibank, JP Morgan and HSBC? The money was taken out of the country just days before the 2013 general elections to Cayman Islands tax haven. Then some weeks ago, purportedly on its way home, it was mysteriously deposited in Singapore allegedly to fulfil Bank Negara’s regulations. 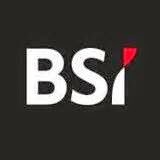 BSI is a Lugano-based Swiss private bank. Since last year it became part of Brazilian group BTG Pactual. It was previously owned by Italian insurance giant Assicurazione Generali SPA. It has US$1.8 billion share capital and its Singapore branch has a capital of US$200 million. Its latest financial account posted on its website showed that its suffered a loss of US$722 million. The investigators must ask the 1MDB managers did they not check the credibility and financial strength of banks they deposited the company’s money in? RM4 billion is no mean sum for a financially weak company like 1MDB. It is not my intention to penalise BSI or cast aspersion on it but with a staff of about 2,000 and a share capital of US$1.8 billion, BSI is smaller than our Affin Bank. To my knowledge, private banks are usually used by rich individuals and secretive family companies who do not want too many questioned asked about their sources of the wealth. The move by 1MDB to park the money in Singapore with BSI only heightens the suspicion that something is amiss. So the investigators have to make sure that every single sen that 1MDB purportedly deposited with BSI is accounted for. 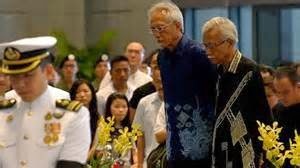 During my trip to Singapore to accompany (Tun) Daim Zainuddin to pay our last respect to late Mr Lee Kuan Yew, the people we met asked about the role of other “mysterious” outfits and individuals involved with 1MDB. They specifically mentioned the role of Ashmore Investment Management Ltd, a UK financial institution in the 1MDB-PetroSaudi “deals” with specific reference to its senior executive identified as Patrick Mahony. 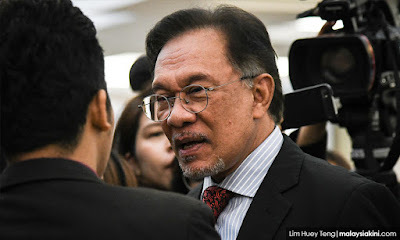 They said, the Malaysian investigators should seek the assistance of the UK Financial Conduct Authority whose tasks include investigating money-laundering activities. The sources also said the investigators should summon Goldman Sachs, specifically the company’s partner identified as Tim Leissner. The US investment banking group advised the Malaysian government on the formation of 1MDB and helped in its borrowing. Incidentally, Leissner is the new husband (since 2013) of US model/actress Kimora Lee Simmons who is a good friend of the Prime Minister’s family. Kimora’s websites have pictures of her, Leissner, Mohd Najib and Rosmah. This is only a small part of the 1MDB monumental saga. But it is a good starting point to probe its operations and unearthing the truth. Tag : Blogger UMNO Dedahkan Bank Yg Simpan Wang Pelaburan 1MDB Kerugian Teruk.